At Electro-Matic Visual Solutions, we have been a leader in the LED signage industry for more than 20 years. International companies and local businesses turn to us for their LED signage needs. 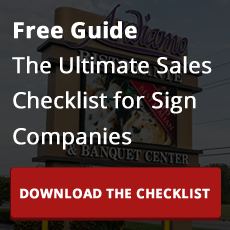 Our Full Color LED Signs have brought countless organizations new business and have helped to increase visibility and highlight specials and sales for storefronts, restaurants and more. The Fusion® LED display brings you brilliant vivid colors, graphics, logos - even animations and live video – all in an extremely versatile platform, scalable to virtually any size and proportion with the industry’s widest range of resolutions. The Fusion® was designed for maximizing the exposure for your business, whether it’s a school, church, bank, restaurant, or auto center, the Fusion® compliments and strives in these types of applications. With billions of color possibilities, our Full Color LED Signs allow you to display eye-capturing, attention-grabbing images, animations and movie clips that people will remember as they pass by your business. And when you purchase your LED display from Electro-Matic, you automatically gain access to our LED sign content library free of charge! Each of our LED displays operate on simple, intuitive software, allowing you to customize and update your own messages, schedule them for days or weeks in advance, and provide access to a library of ready-made sign content. Electro-Matic offers versatile software options that range from local, direct connections to your LED display to large-scale cloud-based solutions to manage a network of displays. In addition, Electro-Matic LED displays are also capable of interfacing with any third party software option. According to the Small Business Association, implementing an LED sign can increase business from 15% to 150%. With extreme durability, the Fusion can provide its proven results for years to come with minimal maintenance and service. With billions of color possibilities, our full color LED signs allow you to display eye-capturing, attention -grabbing images, animations and movie clips that people will remember as they pass by your business. Hope Lutheran Church needed an engaging electronic message center that would capture the attention of people passing by their location, but would also be easy for their staff to manage and update all on their own. Electro-Matic Visual Solutions installed a HyperionPlus Full Color LED Sign, allowing the team at Hope Lutheran Church to quickly change their sign in order to highlight events and services while getting more people through their doors. Our new LED church sign is amazing and far exceeds our expectations! Our display is full-featured, easy to program, and has proven to be an eﬀective and visible outreach to the community. Thank you for meeting our needs and providing us with a cost-eﬀective LED without sacriﬁcing quality or features! What sets EMP's full color LED displays apart?